This book can change lives. Someone finally put into words what I’ve been struggling with for so long. 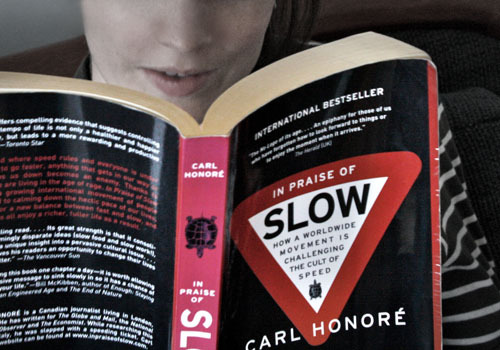 In Praise of Slow: How a Worldwide Movement is Challenging the Cult of Speed written by Carl Honoré, a Canadian journalist living in Britain. This book reflects on our fast paced modern culture and gives a recipe for how to slow down and enjoy life. It is one of my favorite books!